Can’t choose between a band or DJ? We offer a variety of musical options from 6-11 piece band, DJ/band combo, DJ after party, along with specialty music for you ceremony or cocktail hour. Specialty groups include steel bands, harp, electric strings, modern string ensembles, jazz & classical duos & trios. The success of your wedding or event is our top priority. Let us help you fulfill your vision of the ultimate celebration. 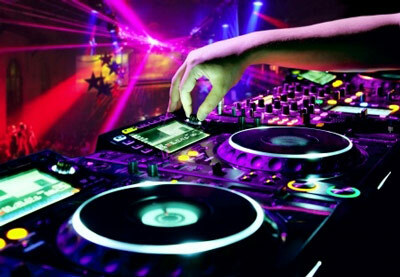 Our experienced and multi talented DJs are unique in their ability to read an audience and keep the dance floor packed the entire party. Spinning a mix of the latest dance hits, the classics and a customized playlist of your requested favorites, your party is sure to be like no other. You won’t believe your eyes when your event space is completely transformed. 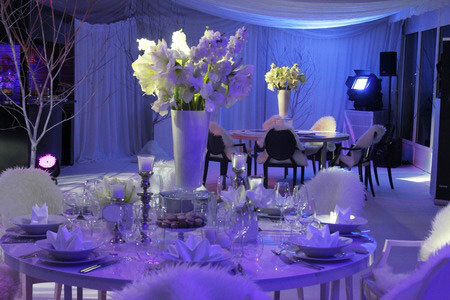 Uplighting creates a stunning atmosphere adding dimension and magical ambience to any room. We offer several different packages.